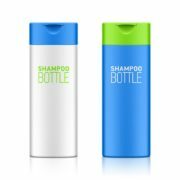 In summer of 2015, a consumer products company was looking for new packaging ideas for their product. There were two driving reasons. 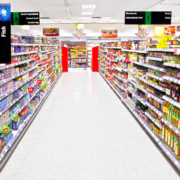 First, their largest retail clients were pushing them for new packaging, and secondly, visual differentiation was a priority for their many skus . They had an original product for the craft market, which came packaged in small aluminum tins with various colored formulas inside the tins. The 30 sku’s were packaged with a common gold label on the top, with a black ink imprint designating the color of the product inside. Solution: Utilizing Flexo-Graphic’s digital center, the consumer product company and Flexo-Graphics color matched the 30 product formulas to create labels matching the color of product formula inside the tin. Together they worked through forecasted sales to create production printing runs to maximize the digital web, yet reduce potential overruns and obsolescence. This meant printing what they needed, when they needed it. 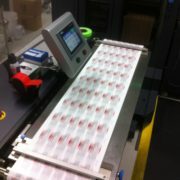 Are you looking for short run labels, that need to match specific color profile? Maybe we can help? Contact Flexo-Graphics at 262-790-2740 to ask more. 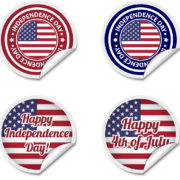 You can also learn more information on private line or digital labels here. Hemp products have been around for a long time. It has routinely been used in a variety of consumer products including rope, textiles, clothing, shoes, food, paper, & more. Only recently has its value as a food product and supplement been realized. 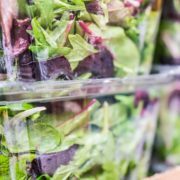 With the emergence of hemp in the health food/medicinal industry many new manufacturers may not be familiar with all the packaging options available. Below we look at a few important considerations to review when selecting a package and labeling option for hemp products. Durability – Strength is by far the most critical aspect of any retail packaging. The durability of the packaging must be able to withstand environmental conditions, shipping, and the normal wear and teat that comes from handling. Shelf life — The best packaging will preserve the products freshness and nutritional value, thus prolonging its shelf life. 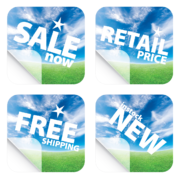 Marketing & POS – Have you chosen packaging that will help drive sales? Do you have single serving options? Is it easy to label and brand? Does it provide versatile display options e.g. hanging, stacking, standing? Eco-friendly — Many consumers of hemp products seek them as alternatives to traditional medicines. This type of consumer is also typically concerned with the environment. 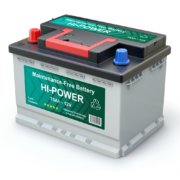 Environmentally friendly packaging can go a long way in promoting sales. It is also creating a good image for your company when you show concern for the environment. 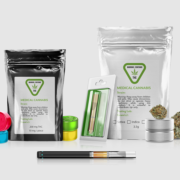 Once you’ve determined what type of packaging will be best for your hemp product, you will want to partner with an experienced printing company to get the best possible labeling to promote your product. 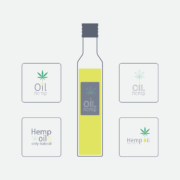 Looking for Hemp Product Labels? 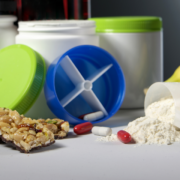 At Flexo-Graphics, we have been working in the nutraceutical world for decades. 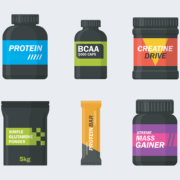 Our team has been helping supplement suppliers get the most from their packaging and labels. We will help you choose the right materials and processes to gain appealing, durable, hemp product label. Choose a custom label with high-quality materials to stand out from the competition and set your brand apart. 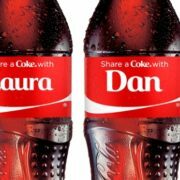 Our team will help you in the journey to finding the perfect labeling solution! 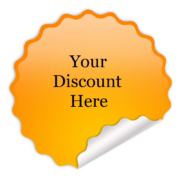 Call us today, or fill out our contact form here. Over 47 million people in the United States died in 2017 from opioid abuse. Fortunately, the hemp and marijuana industries have stepped up to offer alternatives such as cbd oils for people who suffer with chronic pain. As consumers move away from addictive opioids, the demand for cbd products is growing and predicted to reach 22 billion by the year 2022. This staggering prediction is fantastic, but it is almost scary news for CBD based product manufacturers. Now is the time for them to create business relationships that can grow with them and one often overlooked are is labeling. 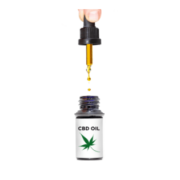 Now is the perfect time to be looking for CBD product label printing services with a company who can meet your current and future needs. Currently the consumer market is wide open for CBD. Some people love oils, while others prefer edibles. The potential CBD products are only limited by manufacturers imaginations. 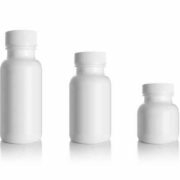 Whether your product is going to be packaged in jars, bottles, tubes or pouches, you should work with labeling companies that have the knowledge and experience to get you the proper label for your specific application. Let’s look at some of the things you should consider when selecting the proper label for any product. Environment – What environmental conditions will your product be subjected to? Think about changing temperatures and humidity levels. All of these factors will affect the way the label looks and adheres to your product..
Durability– How long do you need the label to last? 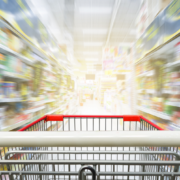 Do you know the shelf life of your product? If so, do you know what type of substrate and printing will endure for that time frame? There are so many steps that go into creating the best design possible for your product. me to find a good label manufacturer to walk you through the whole process. We can help! We offer a variety of label solutions for different label applications and provide a great selection of product labels, among other benefits. To learn how we can use our special expertise to create precisely the type of labels you need, please call us today at (262) 790-2740, or fill out our contact form. 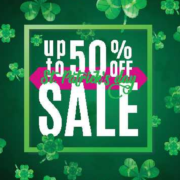 https://flexo-graphics.com/wp-content/uploads/CBD-product-label-printing.png 315 851 fgadmin /wp-content/uploads/flexologoOLG.jpeg fgadmin2019-03-01 17:17:162019-03-04 17:40:09Looking for CBD Product Label Printing Services? Wine labels have become an effective marketing tool, as they often tell a story about the company or item being crafted. In some instances, the design makes the customer feel like they are part of the historical journey. Certain designs can also make them feel like they are getting a higher quality wine. 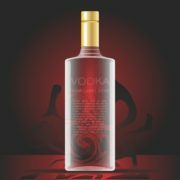 Custom designs are an effective way to reach customers and to get them to choose your product among the astounding number of choices provided these days, but should you choose a foil label or a clear label? Below we examine the differences between the two and outline the pros and cons with either selection. 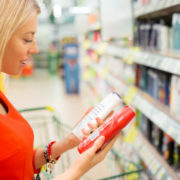 Consumers can see the product from the front of the bottle. Nothing blocks the wine. Sometimes it appears as if the print is right on bottle. 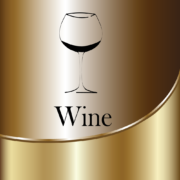 Since the label is clear, you can use the wine color as part of your label design. Adhesive can yellow over time. 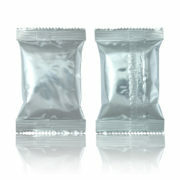 Adhesive can whiten in a water or ice bath. Sometimes clear labels can be hard to apply based upon the equipment you are using. 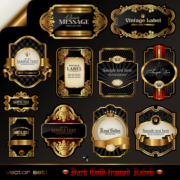 Foil labels are associated with distinction and class. Foil represents status. Gold -Top, Silver -Second, etc. Foil comes in many different colors, allowing for good artwork flexibility. Foil is a premium and thus costs are a premium. Foil, when used as text, can sometimes be hard to read based upon the lighting available. Foil can sometimes have a hard time sticking to different label stocks and can appear “fragmented”. 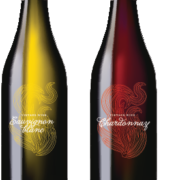 Custom wine labels provide the ability to create any design for the product rather than being limited with a pre-printed paper options. In the wine market, a general paper design does not measure up to the classy look you get with a foil or clear label. 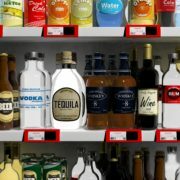 By creating a unique look, your product will become a distinguishable brand on each store shelf. Plus, custom designs provide increased flexibility, allowing you to create your own image, story, and tradition. 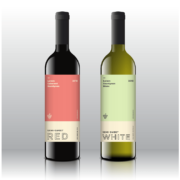 At Flexo-Graphics, our knowledgeable team will help you choose the right materials and processes to gain appealing, durable, custom wine labels. Choose a custom label with high-quality materials to stand out from the competition and set your brand apart. 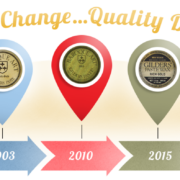 Our team will help you in the journey to finding the perfect wine labeling solution! Call us today, or fill out our contact form here. 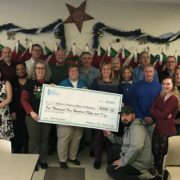 For the second year in a row, the team members of Flexo-Graphics are excited to announce that Children’s Hospital will be the recipient of a Holiday Gift. This year the donation went over the $1,500.00 mark. While the company creates rolls of labels everyday, they also believe in rolling out the spirit of the season. “It has been a very busy year at Flexo-Graphics, and for teammates to stop and help spread some joy, that is really amazing!” stated Michele David. Most great businesses are built on great relationships. Large and small business benefit equally when they select the right outsourcing divisions to improve workflow and production. 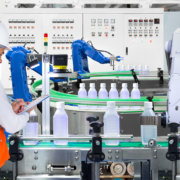 One of the most critical outsourcing choices is with contract manufacturing. In the food industry, contract manufacturing is called co-packing. Co-packers have the potential to save food manufacturers precious time and money every year when they select the right one. Not every co-packer is a fit for every food manufacturer, so when choosing a co-packer your company should be diligent in not just reviewing their credentials, but finding one that has experience with your particular packaging needs. This relationship can make or break your production, so when you choose your co-packer you should interview them as if your company was looking for a new CEO. Below are just a few things to help you determine how to choose the right co-packer for your company. These a just a few of the many responsibilities or benefits that can be realized and accomplished when you work with the right co-packer. When you thoroughly understand how a co-packer can help your business and improve production, you are better equipped to make a great selection. As a manufacturer, you are the expert when it comes to your product. But just because you understand your product, doesn’t mean you are familiar with all the packaging options available. A good co-packer not only understands your product needs, but has the experience to know the ins and outs of making the best packaging to meet or exceed your expectations. 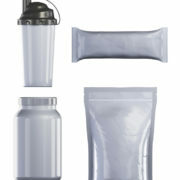 They also have all the right materials, equipment, and staff to create the best packaging fit for your product. 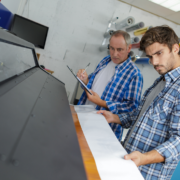 Finding the right co-packer is one step in your manufacturing process, but once you have the perfect production in place, don’t forget to finish it off with the perfect label! 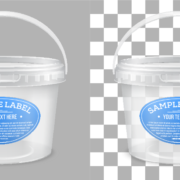 We can help – as a professional label designer, you know you are getting a quality label to meet or exceed the standards you have set for your product. To learn how we can use our special expertise to make sure you are getting the proper label, call us today at (262) 790-2740, or fill out our simple contact form and one of our label experts will get back with you quickly. Your company may offer the best product for a great price, but not experience success due to ineffective marketing practices. This is especially true when your creation is in the wine industry. Packaging, logos, and events all play a role in experienced success. These measures help in increasing brand awareness by catching the eyes of potential customers. Wine marketing trends are a great way to remain aware of consumer preferences and provide ideas to keep a product on top in the market. These are steady wine marketing trends in the industry as each provides a way to either cater to customers needs or to maintain presence. Wine tastings, for example, allow you to captivate customers with the first taste of your good product. 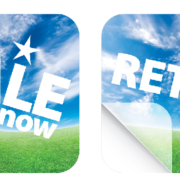 Online, mobile, and direct sales options allow your company to remain current with the times as well. Any offer of convenience is an opportunity to make a mark on the industry. What Are the Prevalent Industry Trends? 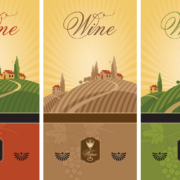 • Package Design – Wine product packaging is a huge determinant on the consumer purchase. New trends are arising including canned beer and premium boxed wine. These choices are viewed to be more suitable for outdoor events rather than glass. 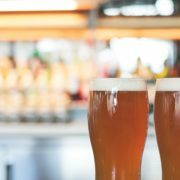 • Millennial-Driven Branding – Many individuals considered to be millennials are not entering the age and timeframe where wine drinking becomes prevalent over alternative options. It is worthwhile to use font styles, colors, and images that cater to this era of individuals. • Healthy Living Options – Consumers today demand healthier options from food to drinks. Marketing a wine with these benefits will cater to these needs and put the product above the rest. • Environmentally Friendly Options – Consumers want the techniques used to make wines to be better for the planet. They are looking for sustainable options, which do not harm the environment. This includes sustainable manufacturing, packaging, and marketing tactics. These four trends will remain in demand by consumers and are important to keep in mind. Destination marketing is an option for keeping your product prevalent in tourist areas. Positioning a product as a luxury brand or using certain print techniques for promotion are also great ideas. At Flexo-Graphics, our goal is to help you capitalize on product packaging and the overall brand to meet the needs of potential consumers. Our team will take time to fully understand your needs. Contact us today to learn more about how we can help your wine get noticed! Sara Cullen, the Founder of GEM, used her passion for women’s health to launch a vitamin product specifically for women. 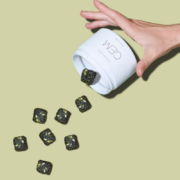 This exciting new product is designed as a daily vitamin, but it is made with real food. It contains 13 whole foods, 15 vital essentials, and is packaged with elegance. 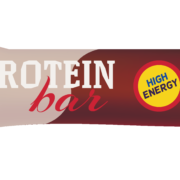 The product will formally launch September 24th and Flexo-Graphics was very proud to help. Our digital center worked with some of the first round soft launch samples and mock-ups, and then assisted with the custom felt labels for the actual product launch. We were happy to be part of such an exciting new product and we look forward to watching and helping Sara grow her passion.